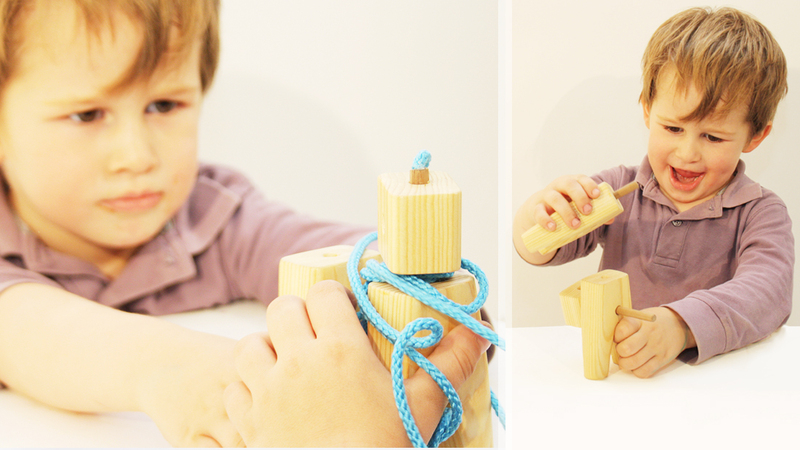 TAU is a toy that evolves with the child and also transforms the way the kid wants or imagines. 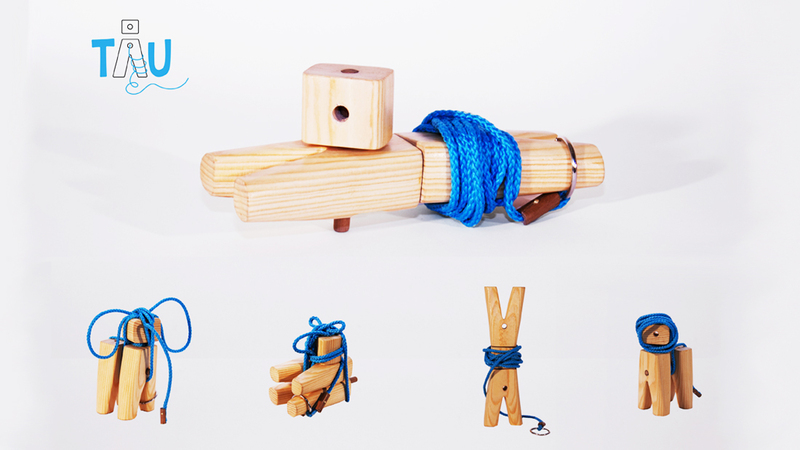 It is composed by three pieces of wood, two axis sticks and a cotton string. The purpose of this toy is to construct different characters or things that are linked with the day-by-day of the child and then spin some of its parts. 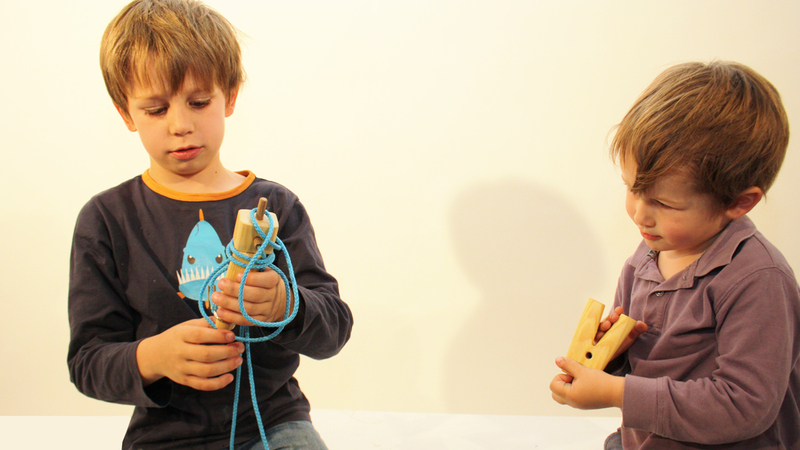 The kid is able to associate the object with his environment, to imagine and build whatever comes to his mind and make it his own, but especially to enjoy his creations by spinning one of their parts with the string.